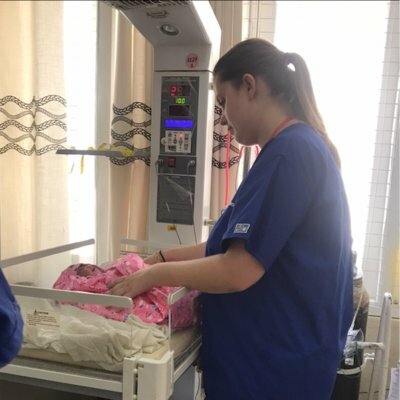 I’m a student paediatric nurse and I spent 8 weeks in Nepal – three at a government hospital, four at a government teaching hospital and one on the village experience. To get to the first hospital I had to take a microbus from nearby the Work the World house. The ride to the hospital is thrilling. The smell is a mixture of dust and petrol and you can hear toots and beeping constantly as buses, cars, motorbikes and people zip and dodge one another. All you can feel is the jolt and banging as the bus rushes over holes and bumps in the road and the sights are truly fantastic; people, markets, shops and houses - all beautifully decorated and all stamped with the pretty Nepali scroll - bright pinks, blues, greens, yellows and oranges. You can see tailors on their sewing machines, fruit sellers punting their mangoes, stall owners piling up pashminas at the marketplace by the side of the road.....it’s true hustle bustle! On my first day, after my orientation of the ward – 5 bays of six beds and a few separate rooms which you can pay for, plus one isolation room – a nurse bid me to sit at the nurse’s station. The nurses asked me my name and one or two questions but the exchange is limited as I don’t speak nor understand much Nepali. I end up making friends with the Nepali student nurses who soon take me under their wing and speak very good English. They ask lots of questions about me, the UK and hospitals at home, and are very smiley and friendly. 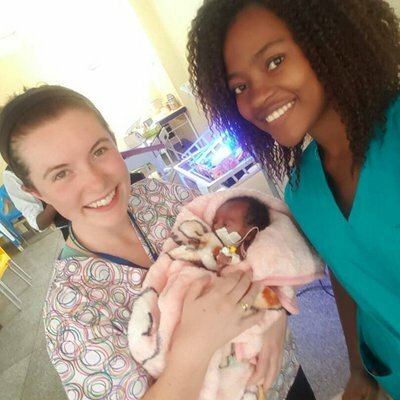 The nurses speak better English in the teaching hospital, so you learn more in terms of skills and knowledge, but if you have time I recommend going to both hospitals if you can. Although in both I saw conditions that are similar to the UK, such as bronchiolitis, pneumonia and gastroenteritis, as well as some which I had not seen as often, such as hepatitis and HIV, the first hospital felt like a "true experience" of a Nepali hospital. Both hospitals were quite grotty by UK standards as resources are stretched. The walls were white once, but in many places are now stained a tea colour and there are splatters of unknown dried liquids here and there. Kids scramble about the floors and window ledges. Gloves are reused and even cannulas – although thankfully not between patients – if it doesn’t reach a vein the first time. Staff rarely wash their hands as the infection control policy is very different to the UK. It is also busy. Parents and grandparents are around each bed and bored mothers lie on their side as their baby or toddler breast feeds. Families bring in pots and pans to cook at the bedside and one grandmother rolls out a mat on the floor and winding her arms under her neck and head, tries to nap. Mums mingle at each other’s beds and in different rooms and I’ve seen more than once a woman pick up another woman’s baby and sit it on her lap for a cuddle if the child is upset and their mum is elsewhere. Infection control implications aside, I find this really nice – a warm sense of community and shared responsibility that is perhaps lacking in the UK. I would HIGHLY recommend the village placement. The one I went to was a 6 hour trek to get to, but was very much worth it as it is both beautiful and an insight into the mountain village life which most Nepalis lead. The health clinic only has a limited number of medicines and I got a lot of experience doing wound dressings of infected mosquito/leech bites. As for living in Pokhara, theres lots of things to do and see! Theres a big, beautiful lake nearby where you can hire boats and kayaks. There is a small Hindu temple on a little island accessible only by boat that you can visit. 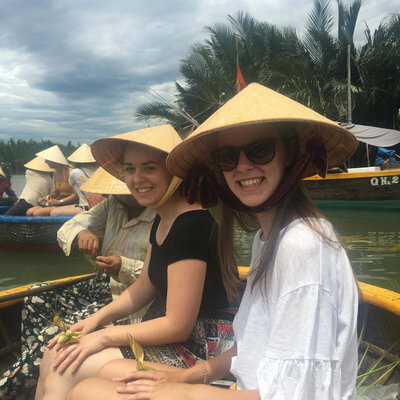 You can also go trekking, paragliding, white water rafting, travel to a safari park for elephant riding and when we were there there were lots of festivals going on too which were really fun. Nepal is a wonderful country with a very friendly and welcoming culture. I felt very safe when I was there. The Work the World house is great, you’re completely taken care of. You get breakfast, dinner and snacks and the food is really yummy. It’s cleaned daily and all the staff and very friendly and helpful! Don’t be put off by the monsoon season either - I went from June-August and it’s both rainy and sunny, but always warm and I still got some amazing views! All in all, I had a fantastic experience in Pokhara and would go back again in a heartbeat.